Are you tired of dull, dehydrated skin? The Intraceuticals 3-step layering process is to the rescue. The Rejuvenate Daily Serum is our superhero with its Hyaluronic Acid that penetrates deep into the skin. Massage into the skin and watch the magic happen. The result? Skin that is lifted, replenished and rehydrated. This product is so miraculous that it’s almost like getting the famous Oxygen Facial in a bottle. Pila’s Tip: Massage into the skin all over the face paying particular attention to the eyebrow for 3-5 minutes for an eyebrow lift. Pila does this while watching TV at night. For Dry Skin. Rejuvenate Daily Serum dramatically transforms the way your skin looks and feels. It will hydrate and deliver potent anti-ageing ingredients and creates the perfect canvas for make-up application. Visibly improve the appearance of your skin’s texture, radiance and vitality. • After cleansing apply 1 – 2 pumps to the face and neck, morning and night. 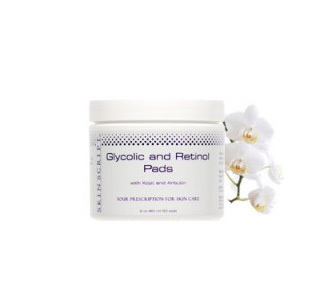 • May be used as a stand alone product to provide an instant improvement to the way you skin looks and feels. • For maximum benefits, use Intraceuticals 3 Step Hyaluronic Layering, by following Rejuvenate Daily Serum with Rejuvenate Hydration Gel and then Rejuvenate Moisture Binding Cream. • Low Weight Hyaluronic Complex — a plant derived low molecular weight carrier that draws moisture and carries ingredients to the skin. It helps to improve hydration and skin volume. • Vitamin A, C and E – these essential vitamins are known for their antioxidant, moisturizing and rejuvenating properties. • Ginger Root Extract – this naturally derived extract from the ginger root to provide an anti-irritation shield to visibly calm redness and irritation. • Panthenol – is a precursor of Pro-Vitamin B5 with calming and moisture binding properties. It acts as a lubricant on the skin surface to help balance hydration levels, comfort redness and moisturize skin. • Squalene – is from olives to enhance absorption, nourish and protect the skin. It decreases dryness, smooths wrinkles and is extremely compatible for the skin. • Green Tea – is a traditional botanical, antioxidant and calming agent. 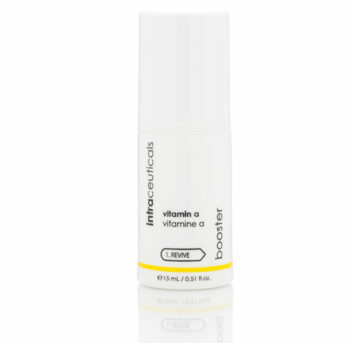 It helps to neutralize free radicals to protect against the visible signs of premature aging. Water (Aqua), Caprylic/Capric Triglyceride, Methyl Gluceth-20, Squalane, Dimethicone, Ceteareth-20, Panthenol, Sodium Hyaluronate, Retinyl Palmitate, Tocopheryl Acetate, Sodium Ascorbyl Phosphate, Caprylyl Glycol, Hydrolyzed Hyaluronic Acid, Aloe Barbadensis Leaf Extract, Zingiber Officinale (Ginger) Root Extract, Disodium EDTA, Bisabolol, Camellia Sinensis Leaf Extract, 1,2-Hexanediol, Triethanolamine, Carbomer, Acrylates/ C10-30 Alkyl Acrylate Crosspolymer, Tocopherol.